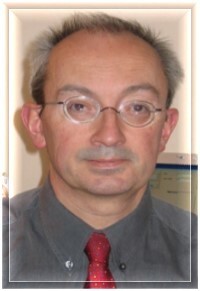 Dr Pierre Maison-Blanche earned an MD at the University of Paris in 1981 and trained in Cardiology at the University of Paris at Lariboisière Hospital. He served in Cardiology at Lariboisière Hospital and then at Bichat Hospital for more than 35 years where he performed cardiac angiography, clinical research in the cardiovascular area. Since 25 years his clinical speciality is non-invasive electrophysiology and he organized the ECG laboratory at Lariboisière Hospital under the leadership of Pr Philippe Coumel. Dr Maison-Blanche still serves as a Consultant for Assistance Publique des Hôpitaux de Paris, Hôpital Bichat, Cardiology Unit. He is a Fellow of the French Society of Cardiology. He is acting as an independent consultant to a number of ECG manufacturers, ECG central laboratories, and Pharmaceutical companies. He is also a full Member of the Cardiac Safety Research Consortium (CSRC) launched in 2006 by FDA with Duke University to support research into the evaluation of cardiac safety of medical products. • Data Monitoring Committees for Phase 3 pivotal trials (CNS, COPD, Asthma, Oncology). Safety, efficacy, and authorization of eliglustat as a first-line therapy in Gaucher disease type 1. Mistry PK, Balwani M, Baris HN, Turkia HB, Burrow TA, Charrow J, Cox GF, Danda S, Dragosky M, Drelichman G, El-Beshlawy A, Fraga C, Freisens S, Gaemers S, Hadjiev E, Kishnani PS, Lukina E, Maison-Blanche P, Martins AM, Pastores G, Petakov M, Peterschmitt MJ, Rosenbaum H, Rosenbloom B, Underhill LH, Cox TM. Non-clinical cardiovascular safety of pitolisant : comparing International Conference on Harmonization S7B and Comprehensive in vitro Pro-arrhythmia Assay initiative studies. Ligneau X, Shah RR, Berrebi-Bertrand I, Mirams GR, Robert P, Landais L, Maison-Blanche P, Faivre JF, Lecomte JM, Schwartz JC. Management and monitoring recommendations for the use of eliglustat in adults with type 1 Gaucher disease in Europe. Belmatoug N, Di Rocco M, Fraga C, Giraldo P, Hughes D, Lukina E, Maison-Blanche P, Merkel M, Niederau C, Plӧckinger U, Richter J, Stulnig TM, Vom Dahl S, Cox TM.